Westminster John Knox Press, 9780664256982, 400pp. At the beginning of Christian Faith, B. A. Gerrish reminds us that dogmatics involves critical transmission of the Christian heritage. The dogmatic theologian must interpret and assess the traditional beliefs of the church while also considering the new and changing conditions in which that tradition is being embodied. With that, Gerrish goes on to outline the various presuppositions and affirmations of the Christian faith before ultimately offering a powerful and compelling restatement of Christian faith for the twenty-first century. 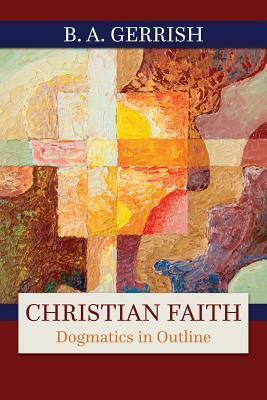 As part of his framework, Gerrish includes a critical comparison of Calvin's Institutes of the Christian Religion and Schleiermacher's Christian Faith while still paying close attention to the great cloud of theological witnesses from across the spectrum of Christian traditions. Gerrish's book provides a robust and penetrating revisioning of Christian theology, one that is thoroughly grounded in the classical traditions of the church.